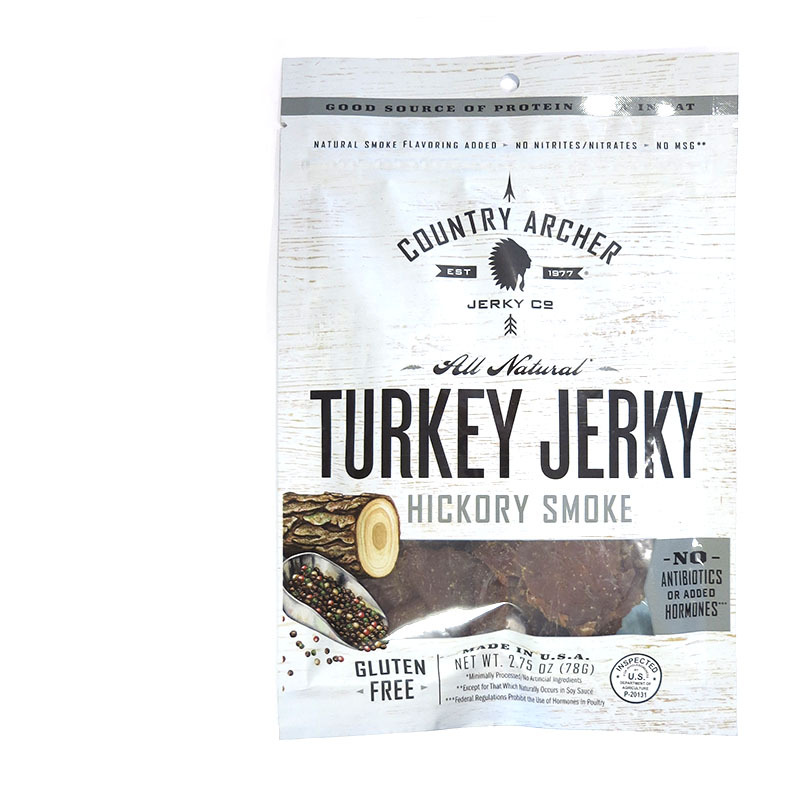 Country Archer recently introduced some new flavors, including this "Hickory Smoke Turkey Jerky". Country Archer is a well known brand in the meat snack industry, going back to 1977 when it became the private labeler for hundreds of brands over the decades. 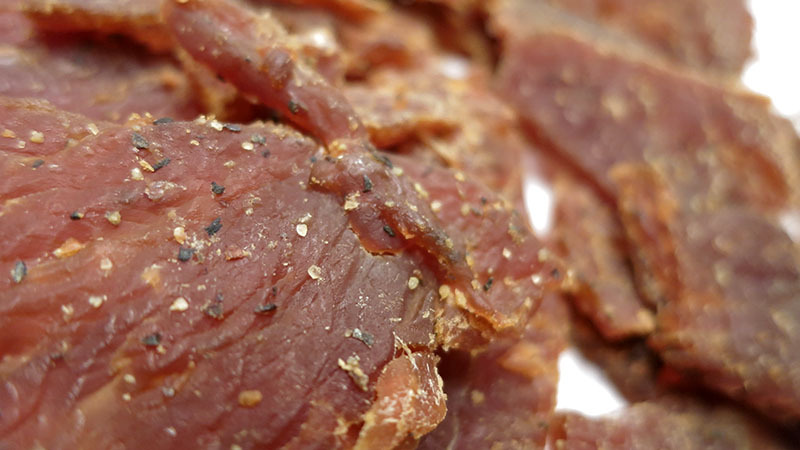 Now based in San Bernardino, CA, the company is leveraging its own brand and pushing its own line of jerky into stores across the country. 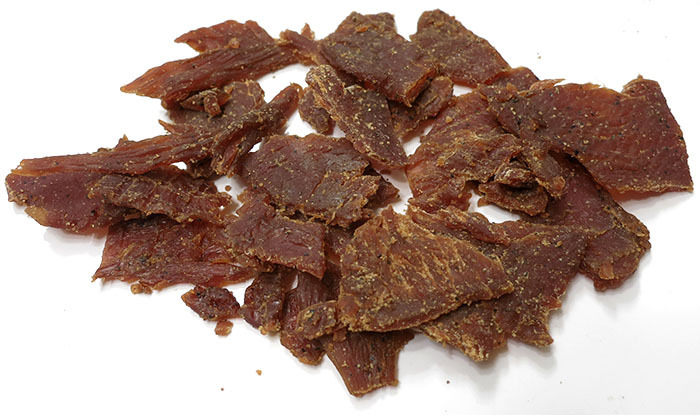 This Hickory Smoke is described as being made from turkey breast meat and real smoke flavor. Turkey, gluten free tamari soy sauce, organic brown sugar, garlic, pineapple juice, liquid smoke, organic worcestershire, black pepper. The first flavors that come to my palate are a light sweet and salty, along with a noticeable soy sauce. There's a faint bit of smokiness. The chewing brings on more of the soy sauce with touches of pineapple, and a little saucy tanginess, perhaps from the worcestershire. The black pepper shows up late into the chewing. For being labeled, "Hickory Smoke", it holds up somewhat. I do detect a touch of smokiness, but it's light enough that it becomes overshadowed by the other ingredients. You may not even notice it unless you specifically look for it. Otherwise, the primary taste profile is this marinade combination of soy sauce and worcestershire, having a savory, yet tangy character, with touches of pineapple fruit flavor, and a light garlic and black pepper seasoning. The black pepper creates a faint spiciness in the back of my mouth, but I still rate this as "mild". The meat consistency looks and feels like classic turkey jerky, but has a more meaty chew than the company's "Teriyaki Turkey Jerky" I reviewed previously. It's mostly dry, yet still easy to chew. It still has a crumbly nature, and still a little pasty, but overall feels more meaty. 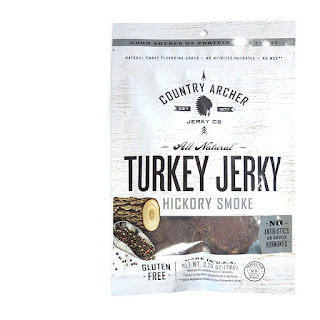 This Hickory Smoke Turkey Jerky from Country Archer is brimming with flavor and generates a lot of snackability from its combination of savory and tangy chewing. I didn't actually get a lot of hickory smoke flavor, though I was able to pick up touches of it. For the most part however, I think this is one of Country Archer's better varieties due to its complexity and balance of flavors. I liked the faint pineapple fruit in the taste profile, and I felt the chewing is more meaty than the company's other turkey jerky varieties.